vibrant boating and golfing community. golf course, swimming pool, marina, and lots more. the Neuse River and the Intracoastal Waterway. Pamlico Sound, Ocracoke, and historic Beaufort. At 'Up The Creek Marina' its all about the quality of life. dock system boat slips. Priced well below market value. pool with a whirlpool and a lot more. to the Intra-Coastal Waterway and the Beaufort Inlet. access to the water any time of the day. offering boat owners a protected harbor with deep water. Brand new state-of-the-art Brazilian teak floating docks. waters on the east coast. Waterway, Beaufort and the Atlantic Ocean. fishing grounds that North Carolina has to offer. amenities for the entire family to enjoy. This boat slip can accommodate a 43' boat. Pamlico Sound, Beaufort, Ocracoke, and historic New Bern. at one of the finest marinas in Oriental. the Intra-Coastal Waterway and the Beaufort Inlet. 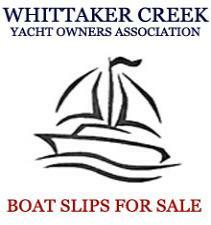 stack boat slips, just call and your boat will be launched. Great amenities for the entire family to enjoy! maintained, safe and protected environment. This is the closest marina to the Beaufort Inlet. who appreciates the amenities of a world class marina. Great amenities for the entire family....! 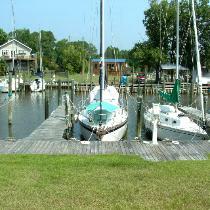 BOAT SLIPS FOR SALE IN HISTORIC NEW BERN, N.C.
historic New Bern, North Carolina has to offer. can own a boat slip in historic downtown New Bern. of the art amenities for the entire family to enjoy. Bern, North Carolina has to offer. marina, with all the amenities for the family to enjoy. fertile fishing grounds of the Gulf Stream.